K-2 Partners reaches $400 million milestone. Company closed 11 deals in 2012 and 19 since commencing operations in 2010. Philadelphia PA – January 7, 2013 – K-2 Partners, LLC today announced its representation of the owner in the successful sale of DataStore, Inc with records management, data protection and imaging operations in Milwaukee and Madison WI. K-2, which provides mergers and acquisitions advisory services to sellers in the Records and Information Management industry, has closed 11 deals during 2012 and a total of 19 transactions since its founding in mid-2010. With this deal, K-2 has also surpassed the $400 million mark in aggregate deal value. 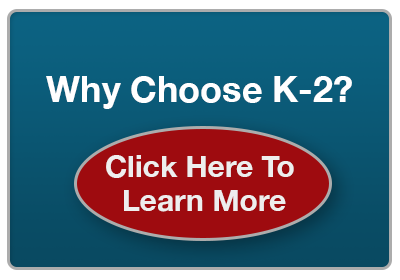 “Industry sellers who have utilized K-2’s services recognize the advantages gained from a professionally-run and competitive sale process, leveraging K-2’s extensive industry knowledge, senior level contacts and deal experience that’s second to none” said Ross Engelman, one of the partners of K-2. “Professional buyers also often comment positively on our involvement” continued Engelman. “They know that with us managing the process, there is objectivity, continuous focus, and a greater likelihood of the deal proceeding to completion”. The principals of K-2 Partners have a long and successful history in leading the RIMs industry, having played an instrumental role in more than 200 deals over the past 25+ years. Commenting further, Bob Miller, Partner with K-2, said: “We continue to see strong interest in well-run businesses in all sectors of the RIMs industry. Strategic buyers appreciate the effort involved in developing a successful business and that is reflected in the valuations that we have achieved for business owners. We have proven methodologies in improving an owners’ RIMs business to maximize its success and value. This is ever more important, given the maturing of the RIMS industry and inevitable commoditization, which will impact pricing, business profitability and ultimately, business valuations”.